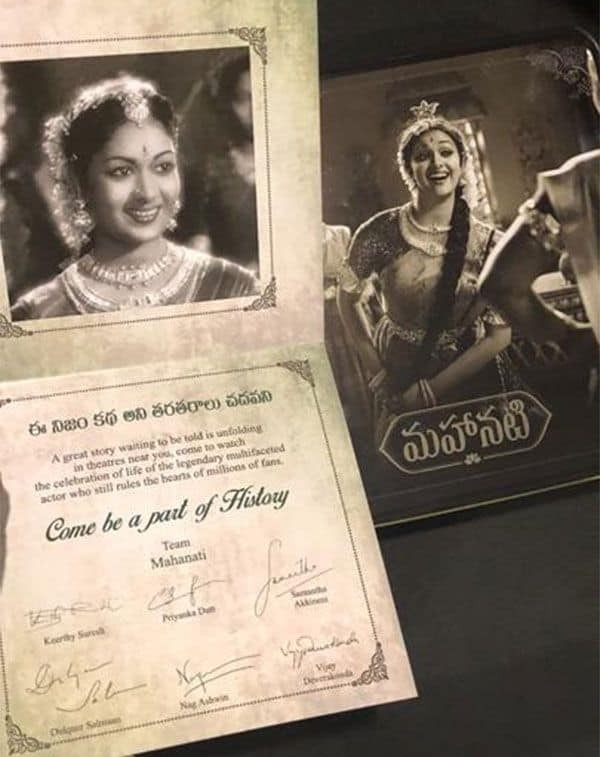 ‘Mahanati’ biopic ki mundu situation gurinchi matladukunte assala Savitri garu ela untaro 80’s and 90’s born variki assala idea kuda ledu.. Movie lo Keerthy Suresh oka first look release chuse mundu varaku Savitri gari character ki Keerthy correcta aa? assala set avtunda ? 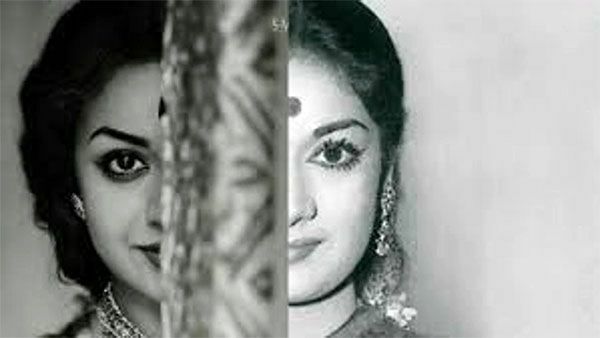 Mahanati Savitri grace, acting, expressions, ni match chestunda ane doubt andariki undindi. 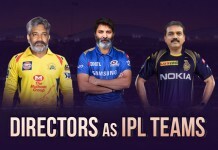 Kani Mahanati team release chesina first look lone Keerthy acchu guddinattu Savitri gari laundadam movie mottham kuda swayam ga Savitri garu ea malli onscreen pai act chestunara anna range lo ame Keerthy perform chesaru. 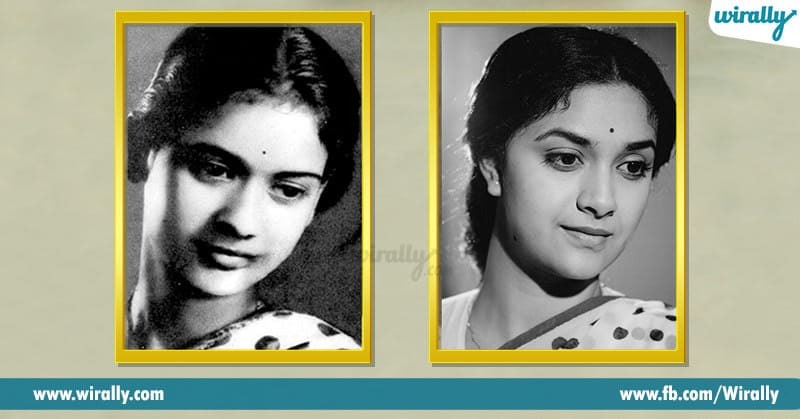 Cute roles nundi Savitri ane oka epic aura ni tana shoulders mida vesukoni andarini tana natana tho mantra mugdulu ni chesina Keerthy transformation ni ee roju tana birthday sandarbanga malli okasari rewind chesukundam. But adi nijam. 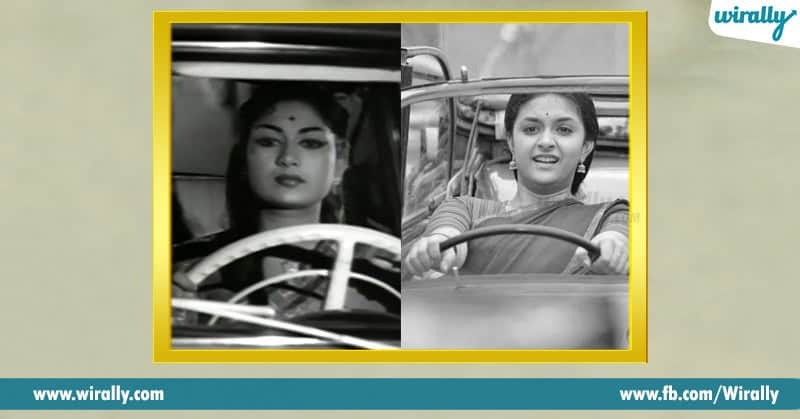 Keerthy Suresh mukyam ga Savitri garu malli puttara anatu as it is dimpesaru screen meda. From body mannerisms deggara nundi, dialogue diction, expressions asalu okkatenti Savitri gare e movie lo act chesara anatu chesaru. It’s not like an overnight work for her. Chala kastapadi chesaru and firstly e role cheyadaniki director Nag approach ayinapudu, she said no. But Priyanka, Swapna and Nag tanani oppinchi chala encourage chesaru. 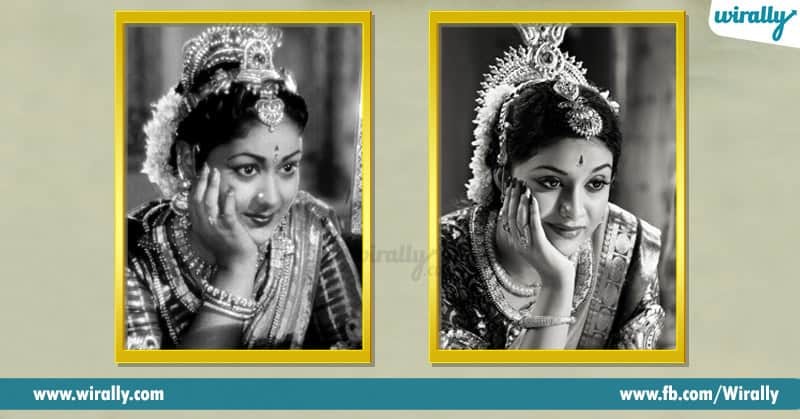 E movie kosam, first tanu Vijaya garu (daughter of the legendary actor) tho matladi asalu ela undevalu, Savitri gari characteristics and mannerisms gurinchi chala telusukunaru. Even though tana gurinchi movies chuste telisina, she wanted to know how she was as a person, a wife and a mother. 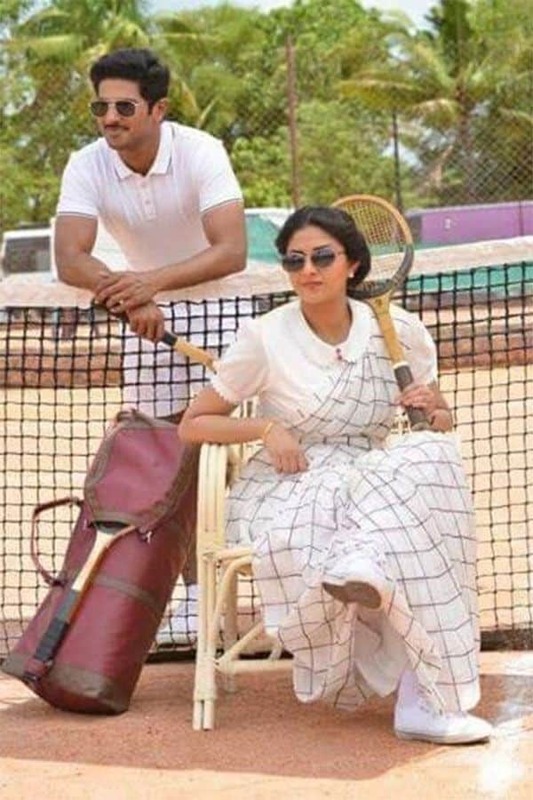 Savitri garu used to play cricket and she loved to swim. So many such points anni telusukunaru. 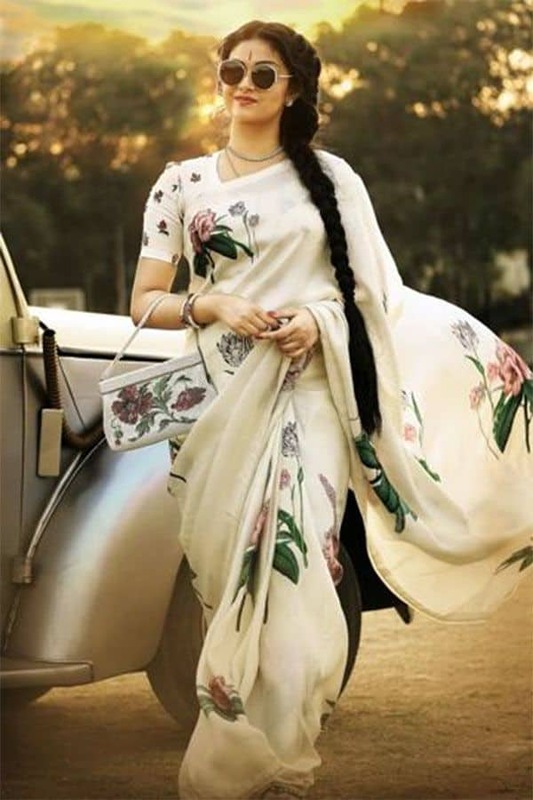 E movie kosam Keerthy Suresh 110 different looks try chesaru to get a perfect look as Savitri garu. 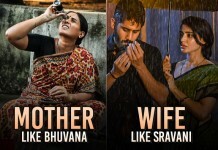 The filmmakers released 20 of the said 110 looks of the film through posters and movie stills. 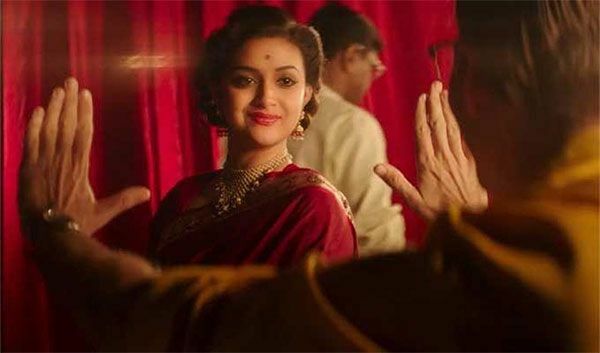 Mahanati costumes kosam 100 artisans more than a year kastapadaru. Designer Gaurang Shah danikosam 6 months research chesi weaving, texturing and colouring gurinchi telusukuni Savitri gari clothes design chesaru. 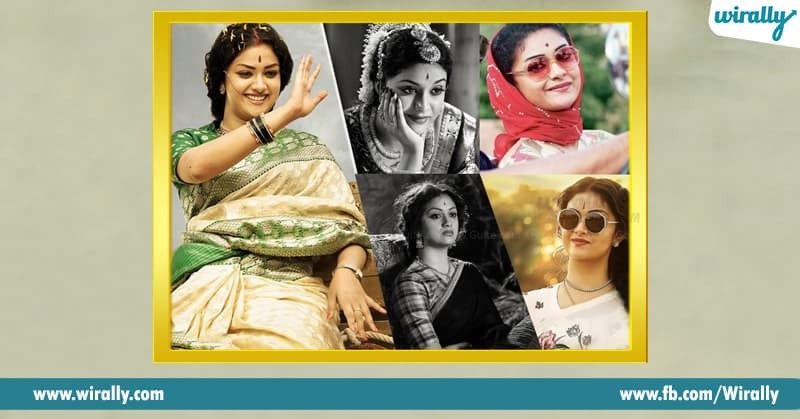 E movie lo Keerthy Suresh garu age of 14 to 44 daka anni stages portray chesaru danikosam enno sarees, hair-dos, jewels, and make-up. Her mother, Meneka, ensured that her daughter was getting the right accessories and look. She used to call Keerthy if she had the right bindi, whether the hair was right with the front crimped just a little and so on. 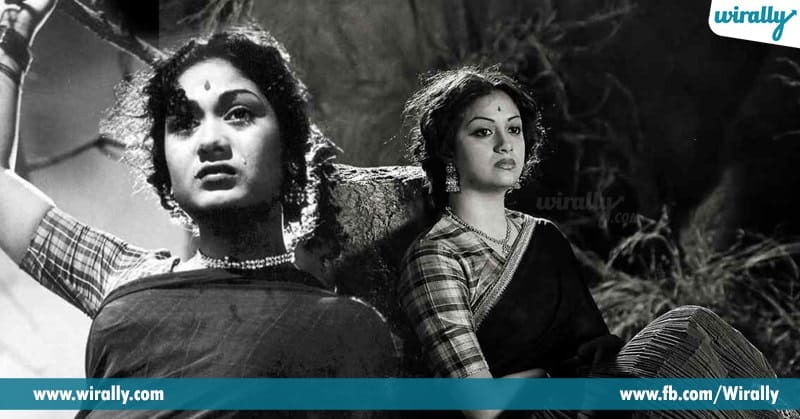 Since Savitri had put on weight at one point in her life, Keerthy had to turn to prosthetics to depict that. 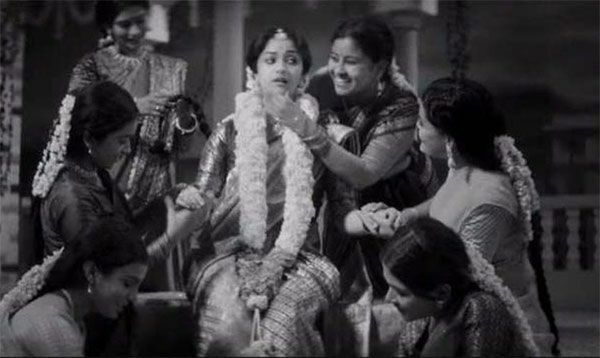 Three hours prior to the shoot were required to get the prosthetics right and then Keerthy had to sustain herself on fluids till the shoot was over. Actually Savitri gari lips koncham pout chesinatu untayi, but Keerthy Suresh vi small so for that they used prosthetics. She used to keep cotton in her mouth to look fat and split every five minutes. Mayabazaar was the difficult one to replicate, as he had to carry the heavy Kanchivaram saree along with the Jewellery. 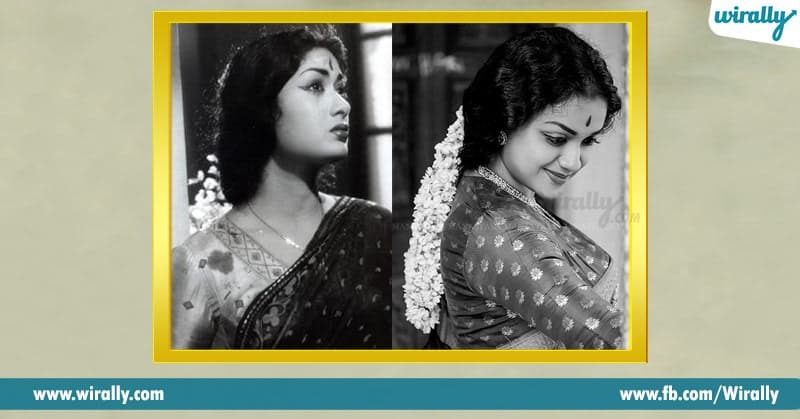 Every day shooting start ayyetapudu, she used to check the reference pictures as Savitri garu looks different in every movie. 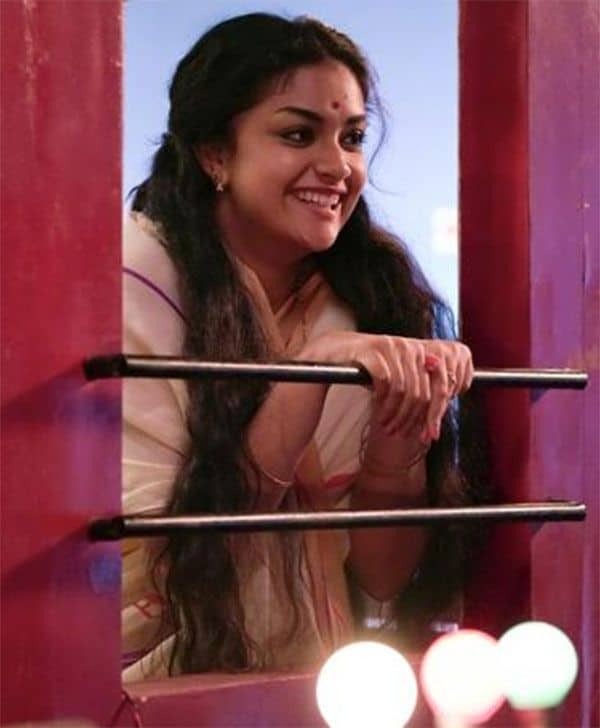 Keerthy Suresh took around 11 days for the dubbing in Telugu. Getting rid of her “strong Tamil-Malayalam accent was not easy but she worked on it a great deal. Her team gave a lot of support to her while shooting as well as dubbing. 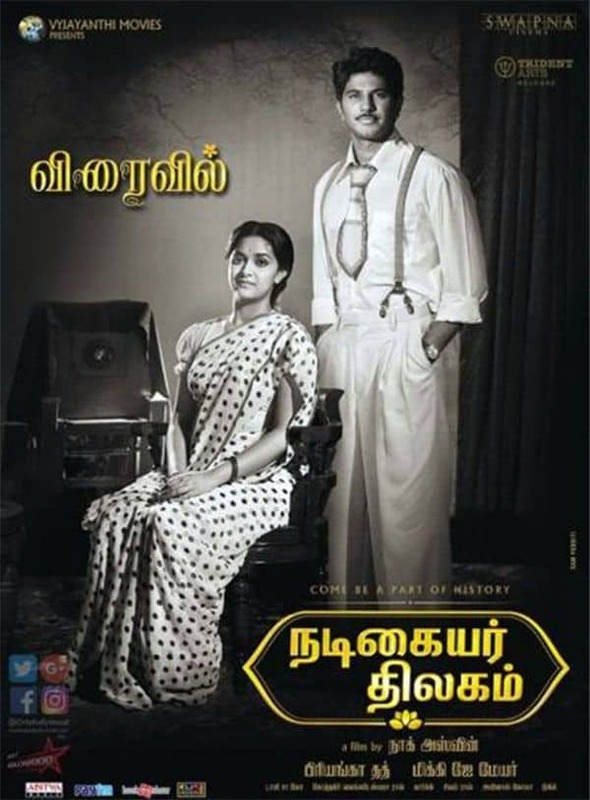 May be inta hard work vallanemo, Keerthy Suresh Savitrigani exact on-screen dimpesaru. 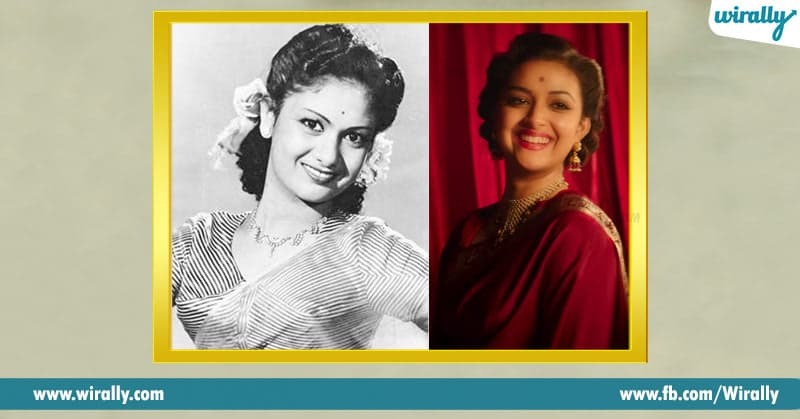 And here some looks that she gone through workshop for Mahanati.